A STUNNING NEW TEEN FANTASY SERIES LIKE NOTHING ELSE! The gods are using their own children as players in a high stakes game located in the most treacherous environment in the known universe… high school. To make it more interesting, they’ve stripped their children of knowledge of who they really are and withheld the rules of the game. 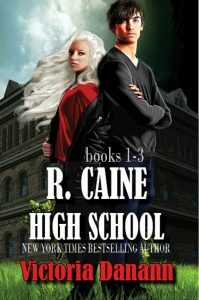 Start reading TODAY and find out why readers are calling R. Caine HS funny, fast paced, and fabulous with flair.